^^ Fender Katsalidis is becoming a bit boring, this is a bit mediocre, I expected more from them. It is unusual that in the CBD and southbank developers are going way beyond what would normally have been the expected development potential on many sites but in Docklands, more often than not, developments fail to even utilise the expected development potential of the site. I guess costs were more important than any decent design elements. So unimaginative and boring. These are exactly the types of proposals that ought to be knocked on the head. Take your crap to another city and to another country; they simply should never see the light of day here. A mosaic-blurred photo of a Fitzroy player? Fitzroy didn't exist as a club when Docklands stadium was built, no real heritage for the club in the area. 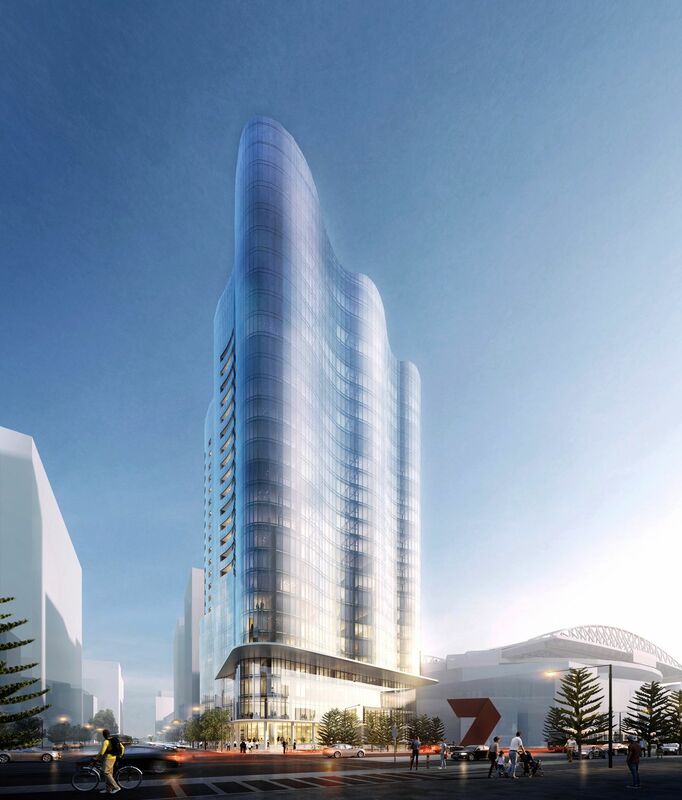 Victorian Planning Minister Richard Wynne has approved developer Salta's application for a residential tower 17 metres above the Docklands limit, saying the good design would mean better apartments and a more attractive building. 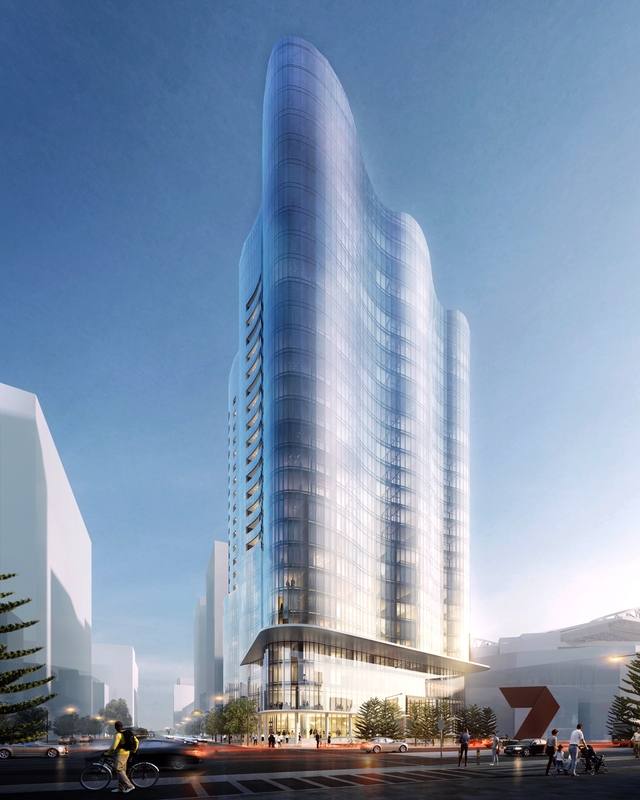 The 383-apartment tower on the corner of LaTrobe Street and Harbour Esplanade will rise 92 metres above the ground, rather than the 75-metre discretionary limit on the site, after Salta and architects Fender Katsalidis made changes that would let more light into the apartments and would front retail and office space to the street on upper levels, rather than car parking. "With every well-designed tower comes a swathe of new apartments, allowing for more people to live close to Southern Cross Station, the waterfront and the CBD," Mr Wynne said. The podium will be a windy, useless wasteland lacking in intimate spaces. Otherwise, I don't mind it. Amend preamble to reference the amended plans. Amend conditions (1,5,6,7,11,12,13,17,26,30,32,33) and add conditions (8,9,10,14,15) to reflect new design. 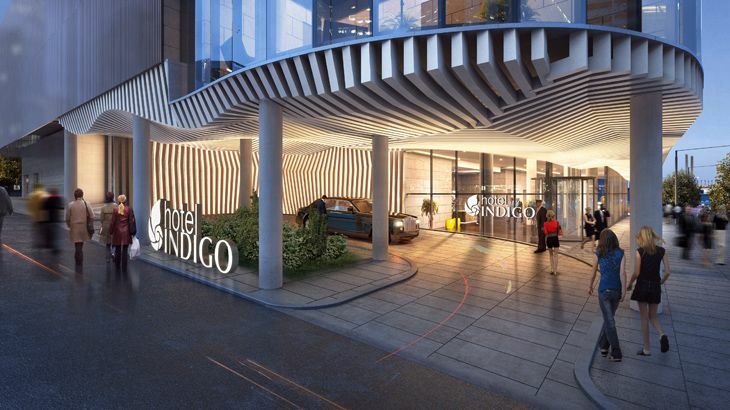 Melbourne will stake a claim to Australia's second Hotel Indigo when the boutique brand opens its doors in the Docklands precinct in 2019. Australia's first Hotel Indigo – which IHG describes as a "brand for the savvy individualist" – has already planted its hipster heels in Brisbane's Fortitude Valley for a late 2016 debut. 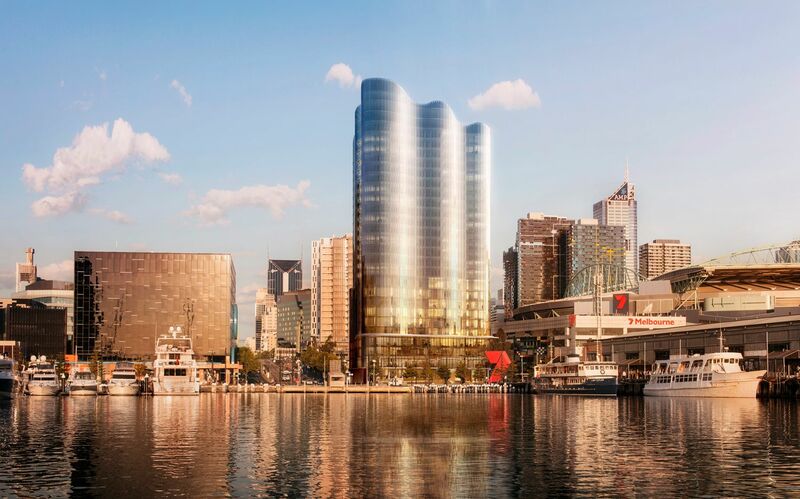 All 170 rooms in the Hotel Indigo Melbourne Docklands will boast "uninterrupted water views", promises IHG, and include access to a large resort-style pool and gym. The property will be fronted by a street-facing neighbourhood restaurant and bar, split across two levels, with the hotel itself topped by 16 floors of 260 residential apartments. A private developer is set to build Australia's first "multi-family housing" apartment complex, a model where it keeps ownership of the entire building and leases out the units on a long-term basis, up to 10 years, to tenants. 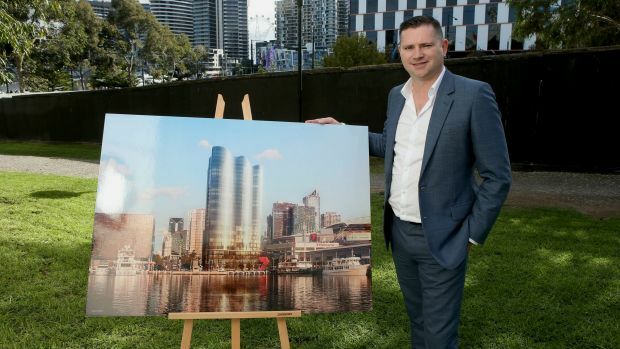 Family-run property developer Salta Properties will begin construction early next year of a 27-level Fender Katsalidis-designed apartment with 260 units on the waterfront in Melbourne's Docklands. 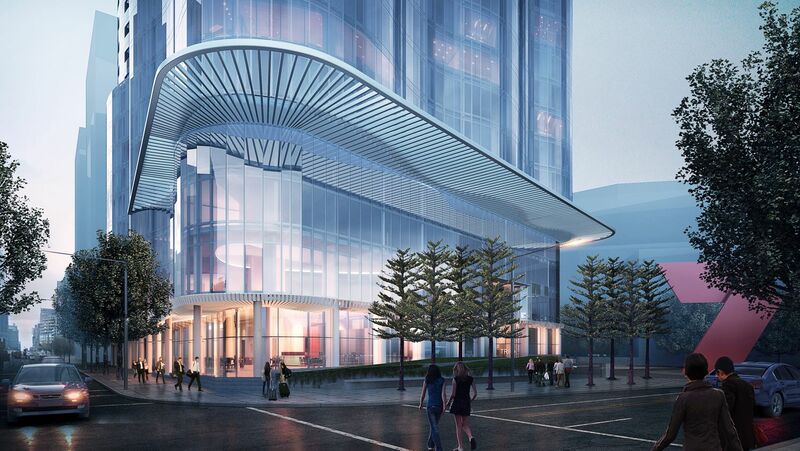 It will also include a 170-room Intercontinental-run Hotel Indigo on the lower levels, the first bespoke Indigo brand hotel to open in Melbourne. In a counter-intuitive move that runs against consensus views of a looming oversupply in the Melbourne's apartment sector, Salta sees an opportunity to "create a new asset class in Australia" and diversify its $1 billion property portfolio with complete ownership of a large residential tower, including the hotel. The model, common overseas where it is underpinned by institutional investors, is known as "multi-family housing" in the US and "build-to-rent" in the UK. Looks to be 29 levels now so about 100m.